Super Mario World, Yoshi, and maybe one too many words in all-caps. Dinosaurs. They’re pretty cool, right? I mean, they are by far the most popular exhibit in any natural history museum. How many kids think that digging up dinosaur bones is the coolest job ever?? (Do kids still think for themselves these days?) What would the history of this planet be without dinosaurs??? B-o-r-i-n-g, that’s what. So insert a dinosaur into a video game, in this case with Mario and Luigi, and it’s bound to become a fan favorite for generations upon generations, without a doubt! This loveable, rideable green dinosaur was introduced to video gamers in the incredibly fun and popular SNES game, Super Mario World (1991). Now, I liked Super Mario Brothers. I fell in love with the tanooki, frog, and raccoon suits in Super Mario Brothers 3. But Super Mario World truly captured my heart. He’s since become a staple in most Mario games, and he has his fans and detractors. 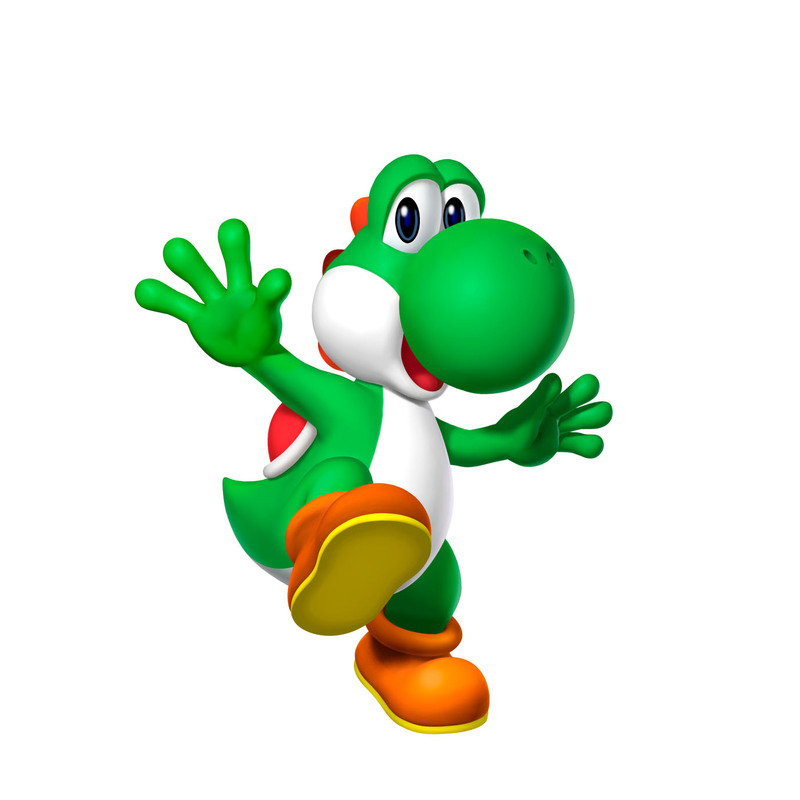 In some games (*ahem* Super Mario Galaxy *ahem*) Yoshi is not so great. But in Super Mario World he was a star! A dinosaur star! A green, enemy-eating, super-cute dinosaur star! 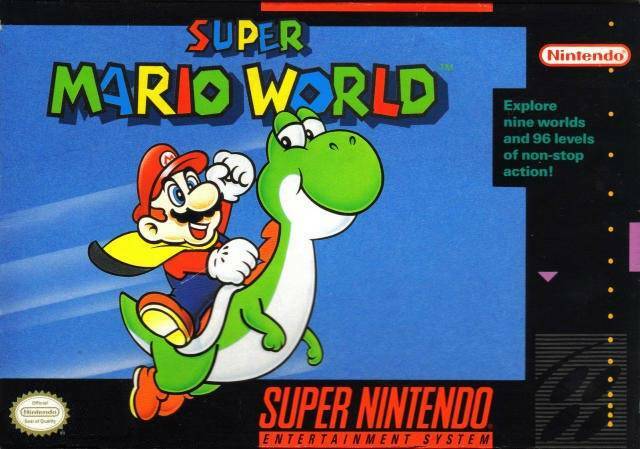 Super Mario World was probably my most favorite Mario game until the release of Super Mario 64. The plot of SMW was simple. Mario, Luigi, and Princess Peach take a vacation to Dinosaur Land. One day, Peach disappears and the duo goes looking for her. During their search, they come across a strange egg that hatches to reveal Yoshi, part tauntaun, part garbage disposal, who proceeds to tell them that his friends have been imprisoned by some nasty koopas. Mario and Luigi deduce that Bowser is behind this scheme and they decide to help Yoshi and his friends and save Dinosaur Island. Oh, and they have to find Peach, too, of course. Mario would have done good to keep her in a binder. 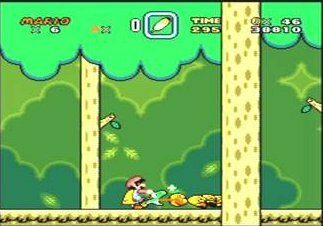 Super Mario World, in all it’s lovely, colorful 32-bit-ness, built upon the mechanics of previous Mario games. It was still a fantastic platformer, and you navigated the levels via world maps, which were all pretty and “3D” as opposed to Super Mario Bros. 3’s flat maps. Mario still ran and jumped his way across levels, collecting invincibility stars, fire flowers, and mushrooms, but he could also do a special spin jump, and there were scattered balloons that helped him sail into the sky. (Actually, the balloons were a little strange because they made Mario inflate and float…a fat, floating Mario…yeah.) His furry suits were replaced with a cape feather that allowed him to fly. And was there something akin to the frog and hammer suits? I don’t think so. But Yoshi was FUN! And once you got him, all-eating-hell broke loose! Yoshi was hidden in blocks in various levels, and once you found him, he’d stick with you. Mostly. He’d run away of he got hit and he couldn’t go inside castles and such. He had an obscenely long and surely sticky tongue that allowed him to eat just about anything! Goombas, koopas, bullet bills, pokeys, just about every enemy made for a great dinner! But say Yoshi craved something a little spicy? Try a red shell, yum! Not only were they tasty, but they gave Yoshi the power to spit fireballs! I mean, Mario’s fireballs were great, but Yoshi’s balls seemed bigger and better! Uh…hm…fire, balls? If you found a cape feather and had Yoshi, you both could fly! And you could make him eat stuff IN THE AIR. He could swim too, like a champ! Yoshi, he was just the bestest! Oh, the BEST!! Not only that, but there were different Yoshies to find! Four of them, count ’em, FOUR Yoshies! You had to be pretty tenacious to find them all though because Green Yoshi was the most prevalent. The other three Yoshis, Red, Yellow, and Blue, were in a secret level. A SECRET level, y’all! But Green Yoshi was GREAT! YAY, GREAT!! Okay look, I was well into my teens when this game came out, and maybe I was a little too old to become enamored of a little green dinosaur. But what of it? 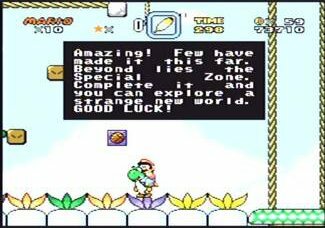 Yoshi made Super Mario World a great place to be. His abilities made some of the levels easier. And he was a noble companion, until he got hit and then ran away like a little baby…a baby! Yeah, you heard me Yoshi…you heard me RIGHT, you coward!! Wait no, I LOVE you…COME BACK!! OH! Why am I yelling at NOTHING?? Love him or hate him, Yoshi is now a regular part of just about any Mario game. I don’t know why my Super Mario World memories made me want to yell. It was the 90s, awkward, high school, acid-washed jeans, big hair, totally rad. I coulda used Yoshi and his crazy appetite and super fireballs back then. I just had cats and they couldn’t spit fireballs. Hell, I could use Yoshi today. Yoshi – the perfect mode of transportation for today’s busy commuter. Stuck in traffic? It’s no problem with Yoshi’s great jumping skills. Uh oh…looks like some one’s got road rage. Don’t stress out –your Yoshi maneuvers easily through traffic to eat up drivers good and bad. And he gets half off bridge and highway tolls because he’s so damn cute!! And this is what happens when I type first and think later. But at least I’ve stopped yelling. I recently replayed Super Mario World after many years and it is still a fantastic platformer. While most of the upgrades were natural progressions from Super Mario Bros. 3 such as better graphics, new power ups and the world map, the inclusion of Yoshi really was unexpected and made the game a lot more fun! One great thing about the Mario series is that each game does offer something new (Yoshi, FLUDD, space, racing, etc.) along with plenty of familiarity. It’s pretty good model that’s kept that plumber and his princess afloat for a long time! Loved the hell out of this game. I do have to say though, I AM guilty of the whole “Ditch Yoshi into a pit, save self” treachery but I always seemed to come across another Yoshi, so I figured it was no big deal, haha. I also remember thinking the L and R button function to pan ahead and behind Mario was pretty cool… until I kept getting killed for not paying attention to what was around him, haha. Well this goes to show that you CAN learn something new everyday, and even 20 yrs later! I don’t think I ever knew you could pan. The SNES controller did have L and R buttons, didn’t it? Man, I can see how that might have led to a few unwanted deaths, but what a help it would have been on some of the levels! Yes, that “game with the birds” has certainly taken its toll on today’s youth. (Or heck, our elders!) I can’t imagine a world without Yoshi. I think he can be a little hard to control sometimes (and would probably be so in real life, as dinosaurs are no doubt), but that’s outweighed by his usefulness and appetite for enemies! 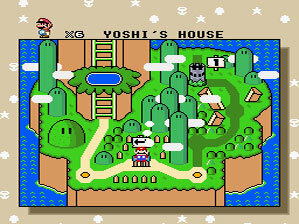 I love Super Mario World – especially the fact that you could go back and replay levels. I would love if they re-did Mario Bros 3 that way, because the hammer and frog powers are the best. I’m disappointed by Mario Bros. for the Wii simply because they didn’t have the frog suit. The penguin suit was a sad substitute. I’m in the midst of New Super Mario Bros. Wii, and I know what you mean about the Penguin suit…it’s okay but not awesome. (The propeller suit, however, is my new favorite.) It’d be great to see Mario Bros. 3 for the Wii as that game was one of the best. Thanks for reading! Any thoughts on Super Mario World 2: Yoshi’s Island? That was ALL Yoshi ALL the time! Ah, separate game, separate post! 🙂 But here’s a sneek peak: I loved Yoshi’s Island with a vengeance! He had some great abilities in that game and the graphics were very simple but very cool for the SNES. I was not, however, a fan of baby Mario. When you lost him, he cried and cried and cried until found. Understandable for a baby, but no less annoying.